Most Japanese women has extreme high awareness towards ultraviolet rays especially during summer. They always take care to protect from exposure to sun as much as possible. Hats become common “shield” against UV. 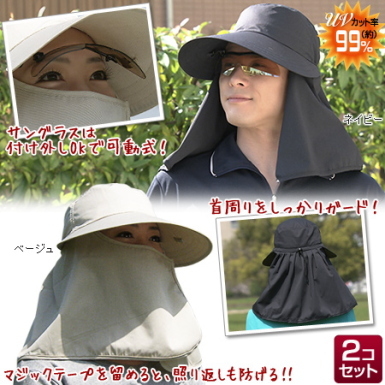 So I saw this commercial about this interesting “UV protection hat” on TV. This hat was said to 99% cut UV out . See the idea? Fully covered from the face right down to the neck. Even eyes are spared from UV since sunglasses come with the set!